The investigation targets two Deutsche Bank employees, only identified as being aged 50 and 46, as well as others whose identity is as yet unknown, according to the prosecutors’ statement. One of the two suspects works in the bank’s anti-financial crime unit, the other one in the private wealth division, a person familiar has said. No current or former board members are among the suspects, the bank said on November 30. Chief Executive Officer Christian Sewing said in an interview with a German newspaper on Sunday that the bank had investigated the issues raised by the Panama Papers in cooperation with its supervisors and had assumed the matter was closed. Back in 2016, Deutsche Bank severed ties with a Cypriot lender named in the Panama Papers and which was identified in a media report as arranging as much as $2 billion (Dh7.3 billion) in offshore transactions linked to associates of Russian President Vladimir Putin. That year, Deutsche Bank was among more than a dozen foreign banks ordered by New York’s banking regulator to turn over information about their contact with a Panamanian law firm that helped register tens of thousands of shell companies. The banks weren’t accused of wrongdoing. The Deutsche Bank unit at the centre of last week’s raids was called Deutsche Bank Global Trust Solutions, part of the lender’s private wealth business. It had a British Virgin Islands subsidiary called Regula Limited. Prosecutors say a Deutsche Bank business there had more than 900 clients and assets under management of €311 million (Dh1.3 billion) in 2016. Deutsche Bank sold the GTS business to Bahamas-based Bank of N.T. Butterfield & Son Ltd in March this year. Deutsche Bank’s global head of wealth management Fabrizio Campelli said at the time of the sale that the move was a step in simplifying the business and represented a focus on its core markets such as Asia, the US and the UK. Financial terms of the deal weren’t disclosed. Prosecutors have said they’ve made “very rapid and very good progress” during the raids and Deutsche Bank has said it’s cooperating “comprehensively.” Prosecutors are scheduled to meet with Deutsche Bank’s lawyers on Friday for talks over their initial findings and whether more information will be needed. Still, the review of the papers collected in the raids could take several months. The next thing to watch is the fallout for Deutsche Bank’s management board. The lender, which has also drawn scrutiny in recent weeks for its role in a dirty money scandal at Danske Bank A/S, was considering replacing Chief Regulatory Officer Sylvie Matherat even before the latest developments. It has long been in the spotlight for deficiencies in money laundering controls — which fall into a unit ultimately headed by Matherat — and the raids certainly don’t help. 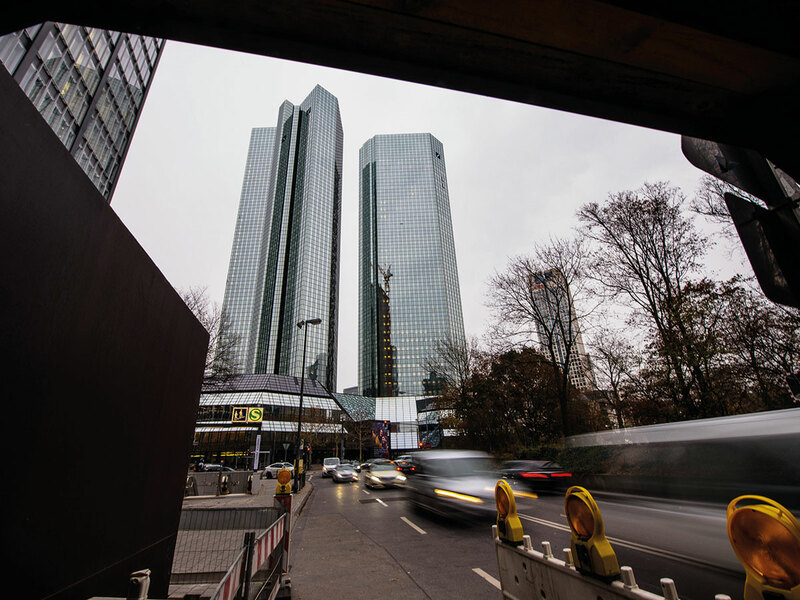 Deutsche Bank’s supervisory board is scheduled to meet on Thursday.